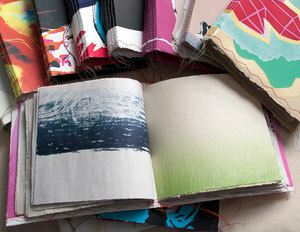 Recycled sketchbooks/journals - Website of jengstudios! 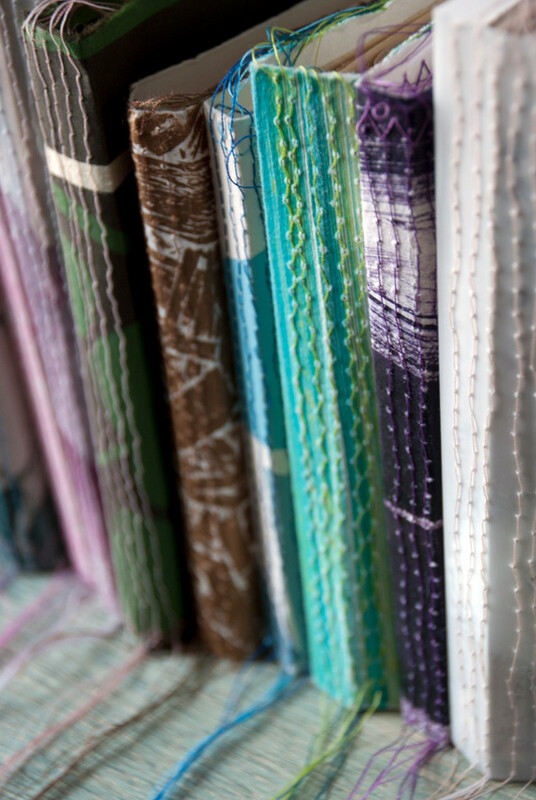 vary in size, shape and cover materials (typically paper, although a few fabric ones show up periodically). Useful for: sketchbook, journal, diary, to-do list, address/phone book, note pad, grocery list, sign in book, photo album, sticker album, anything really! Each book has a built-in pocket somewhere, because sometimes you need a pocket to hold things. 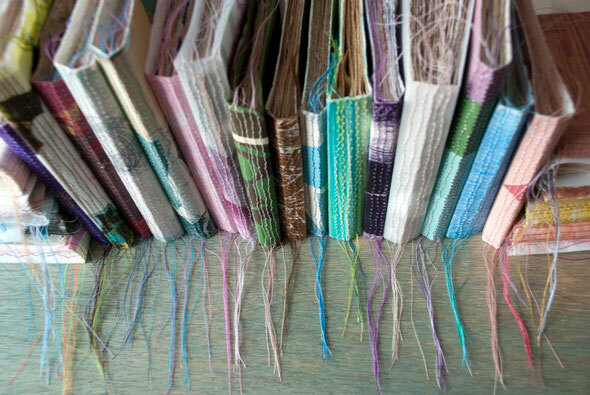 These little books are fashioned out of reused or found prints, papers, bags, fabrics, odd materials, and leftover newsprint from printing projects. I print on the cover material through the monotype process - many covers are made from prints donated by my lovely and talented printmaking students. Next, I tear down the interior newsprint papers to fit, and machine stitch the binding. 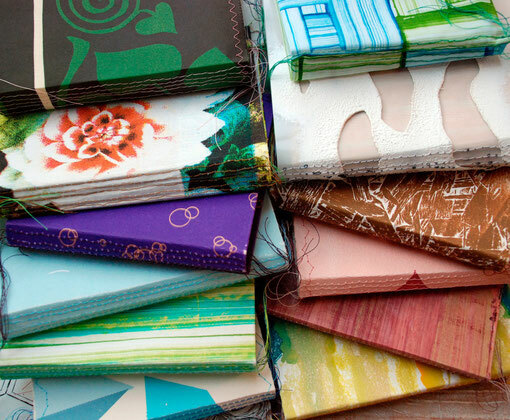 I began making sketchbooks for myself many years ago while studying art in undergraduate school. Classmates wanted me to make one for them too, then they wanted to buy a couple for their friends, and it soon turned into a regular project. I enjoy the variety and interesting character these books have, as each one is unique. FRESH BATCH!!! 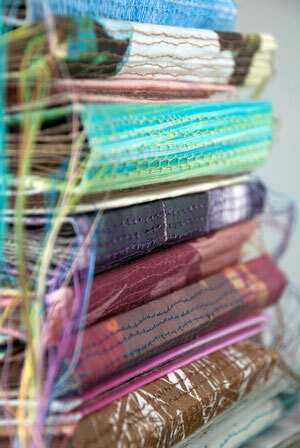 Lots of blues and purples, a few black & white, some fabric ones too! all sizes are the same price, and range from 3"x5" up to 7"x10". colors are random and varied, although you can request a certain color during checkout.